Can My Android phone Play VR Games & Videos? Is my smartphone VR ready? How do I know if my phone supports Virtual Reality videos and games? These common questions are what people had started to ask recently ever since the fun of VR (virtual reality) went viral, and from what we can foretell, VR is here to stay. Millions of people have already embraced the new technology. Bad news is, billions of smartphones are yet to support or play VR videos, the few opportuned devices are mobile phones that are most expensive to the average and very few low-end smartphones that allow VR experience. As time goes on, is phone manufacturers had started integrating support for the new tech on other range of phones, which is a good thing. So, What do you need to Enjoy Virtual reality on your Smartphone? 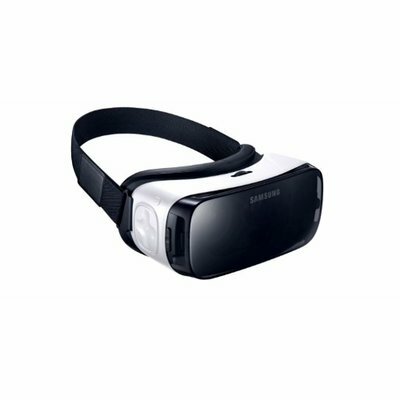 All you need is a smartphone that Supports Virtual reality, and you need a VR headset, with that you are good to go. Although specifically, MediaTek devices that are most used now (perhaps even by you reading this now) are often seen as mid-range and low end smartphones that don't have this VR feature, yet, few are now having it today. So Users are enjoying same VR experience that very expensive smartphones provide. If you own an MTK (MediaTek) android phone, or any other devicep-type, perhaps you want to buy one soon, and join the trend of people using VR supported smartphones, you only need to look out for one thing that your Android smartphone should feature, "GYROSCOPE". It's not a feature that is boldly stated on your smartphone's pack, but it's beginning to receive a lot of attention lately. See Wikipedia for definition, and certainly it's been embedded into our smartphones. 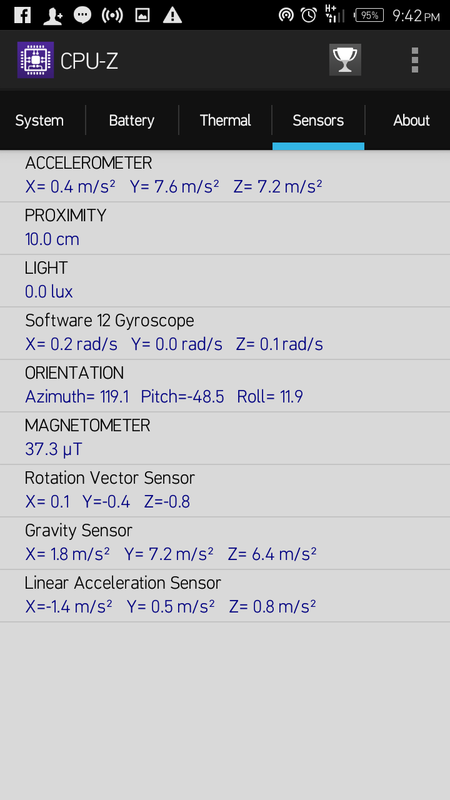 To confirm availability of Gyroscope Install this App. After installing, open it and swipe to the right where you see "Sensors"
CPU Z is a great App that also appeared among the Apps that we can use to check GPU/CPU info of our devices. 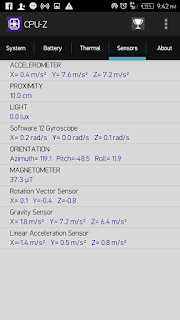 It gives in-depth insight of what your smartphone is truly made of. I had seen really good ones that are very flexible to use for almost all smartphones that had VR features and trust me, the prices are reasonably affordable for the headsets, (works especially on new Android smartphones) check Konga or even Geek.NG STORE. If you would like to buy from or at other countries, there are awesome VR headsets you can buy from AlieXpress. Hope you enjoy some VR experience when you get both a smartphone and headset for it.